How are Weddell seals adapted to survive in Antarctica? 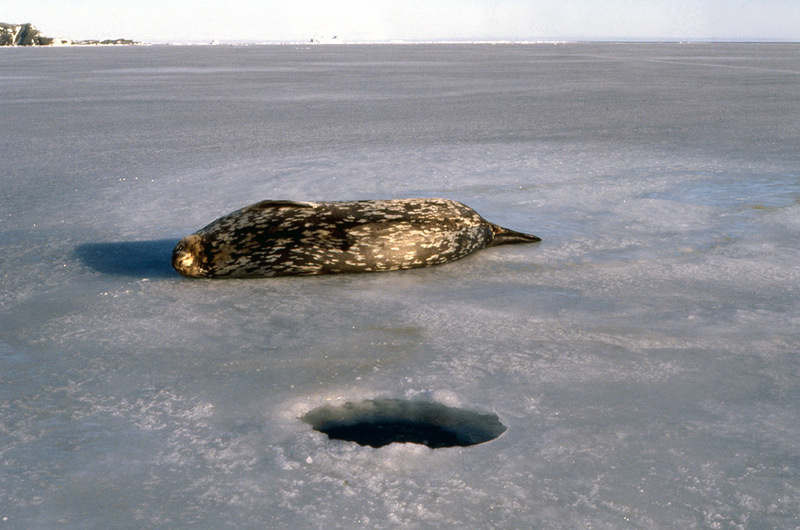 The most southerly dwelling of all mammals they live at the edge of pack ice wherever there is a breathing hole or tide crack. Fore and hind limbs developed into flippers for swimming. Smooth, streamlined shape to pass easily through the water. Large eyes to help hunting prey under water and frequently under ice where light levels are very low. Whiskers (vibrissae) that help the seals feel their way in the dark when catching prey. Weddell seals keep breathing holes in the ice open by rasping back and forth with their teeth, this allows them to live further south than any other mammal. They can swim large distances between breathing holes and cracks, finding the next hole using a form of sonar with high pitched sounds. They avoid the "bends" when diving by exhaling first and allowing the lungs and air passages to collapse so there is no contained air that will allow nitrogen to dissolve in the blood and cause the bends. They flush fish out that are hiding in broken up ice by blowing bubbles. 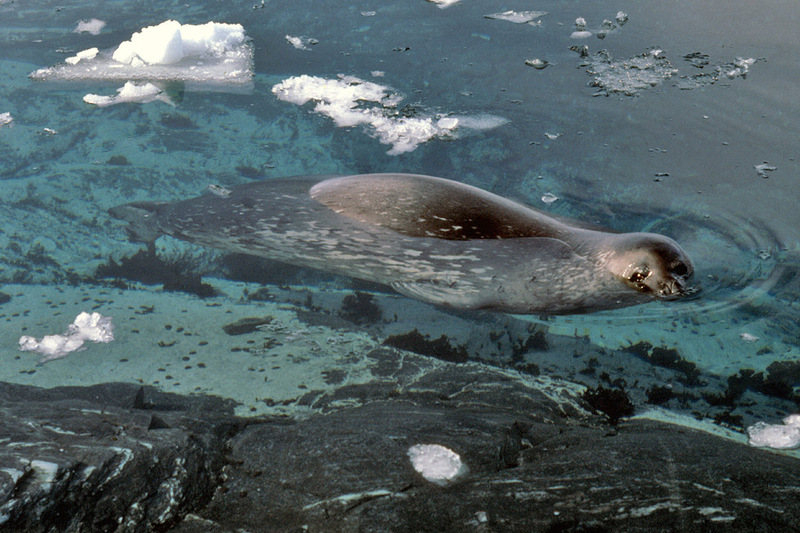 Weddell seals can dive for over an hour, though 20 minute dives are more common, they can dive to 600m. The metabolic "cost" of diving in terms of extra oxygen consumption is about 1.5 x the resting rate - this is much lower than other diving seals and birds and makes diving more efficient. The blood has high haemoglobin concentrations and can carry 1.6 times more oxygen than the same volume of human blood which allows for longer and more energetic dives. 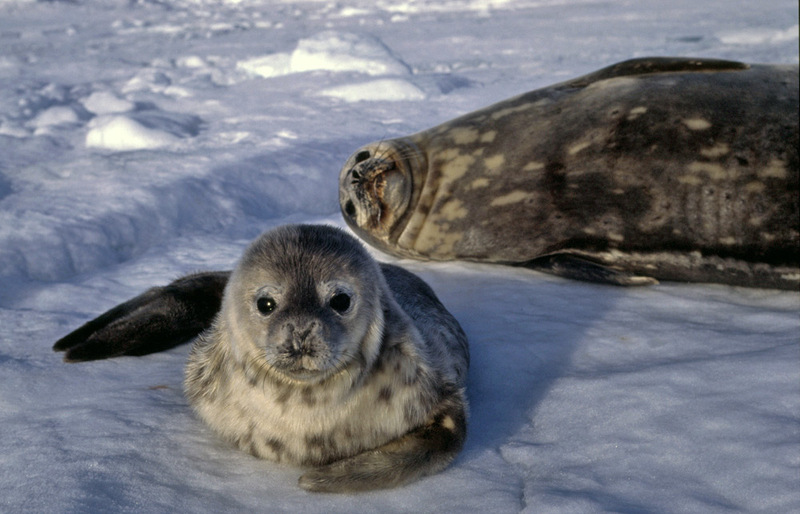 Weddell seal milk is one of the richest produced by any mammal, containing about 60% fat so allowing rapid growth and development of the young during the short Antarctic summer so they are big and strong enough to face the winter. The females mate shortly after giving birth, the embryo goes into a kind of hibernation for a few months before it starts to develop and can be born at the correct time of year. This happens as males and females do not come into regular contact at other times of year.